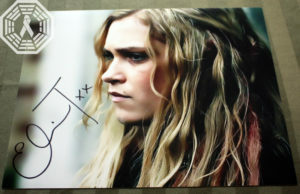 CGL is proud to partner with our friends at Conageddon to present the Cancer Gets Lost Conageddon Charity Auction – an online auction open to fans around the world! 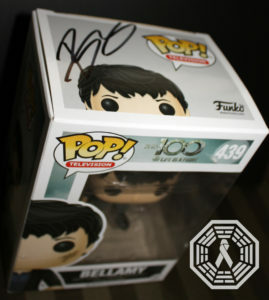 Featuring all The 100-related items, most kindly signed by the cast, every cent raised in this auction will be donated to a children’s cancer charity. 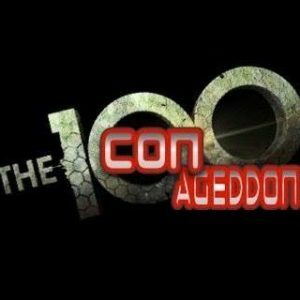 Open online from March 15 – 22 (before, during and after the Con in Boston), we want ALL fans around the globe to have the opportunity to support the greater good, whether or not you’re attending Conageddon! 100% of the proceeds from the CGL Conaggedon Charity Auction will be donated to the National Pediatric Cancer Society, to benefit children’s cancer research and young cancer survivors. 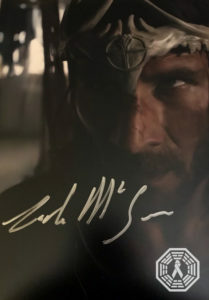 If you are planning to participate in the Cancer Gets LOST Conageddon Online Charity Auction, these instructions are for you! You need to please register on our auction hosting site, 32Auctions. It is FREE, fast and easy. Click here to create an account and be eligible to bid in the CGL auction. To prevent potentially fraudulent activity, we now have to approve each registration individually – and are doing so quickly. Once you register, you’ll get a response back within 6-12 hours (but usually much faster)! You will need a PayPal account if you plan to bid on and hopefully win items (you will also have the option of paying for items with a credit card via PayPal). First, PLEASE refer to the auction listings themselves for shipping prices and details! If you win an item in our auction, you will need to return here to the CGL site in order to make auction payment. There is not an option to pay via the 32Auctions hosting site! In the Other Amount box, it is your responsibility to input the EXACT amount owed for your total auction item win(s) – including shipping costs! Click “Log In” if you have a PayPal account, or enter your credit card information if you do not. After you have paid for your items and shipping together, you’ll receive a PayPal receipt via email. Please forward your email receipt to cancergetslost at gmail dot com! Once CGL has received PayPal receipts from all winning bidders and our fiscal sponsor FJC has confirmed that all payments have been verified, CGL will ship out auction items. Please allow us 2 weeks for this process, and thank you in advance for your patience! Thank you so much for your kind support of CGL and the National Pediatric Cancer Foundation!